Used to be our favorite restaurant. It has consistently gone downhill. I’ve hosted many board meeting dinners, family dinners etc. over the last 20 years. I will never go back. The meat was outstanding. The starters and desserts were ok but nothing exceptional but the overall dining experience was excellent. Our waiter Curtis was a treat. The manager Timothy was also attentive and very professional. Great Service! The Food was just Amazing!!! highly recommended! Beautiful space!! very open, yet not loud. I don't think I would take a large group here, however. Some tables of 10 people were packed like sardines around one round table vs the restaurant using 2 tables. It looked very uncomfortable. But for our group, it was perfect. It was an excellent experience. 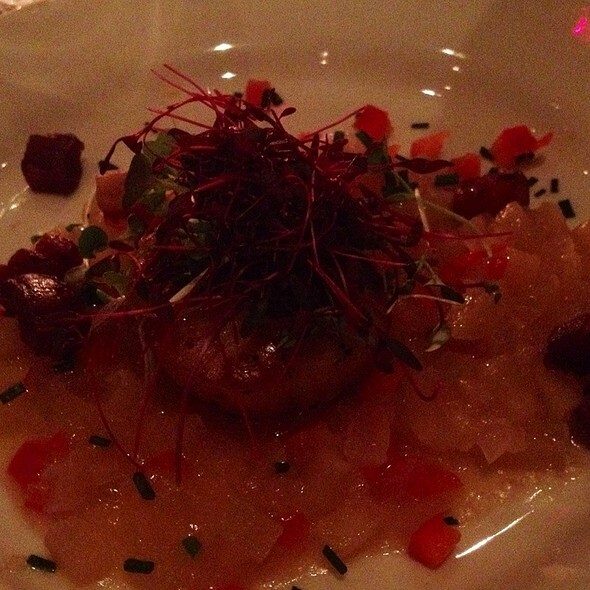 The service was impeccable and the food was awesome. Overall, an extraordinary experience. Brian is an excellent waiter.Appreciated managers Tim, Chad, John, and Crystal stopping several times at our table. Always concerned that we are pleased, and we were!! Really attentive staff and food was amazing. Food and service were good. Just a bit too loud. This is an outstanding meal! 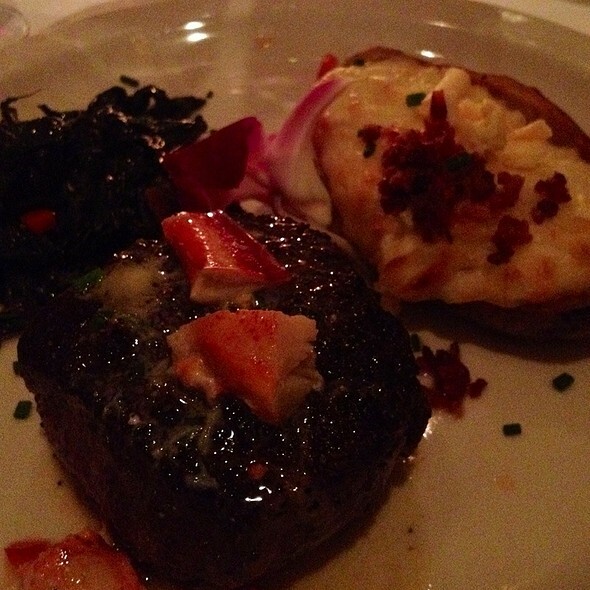 One of the best steaks I have ever had (including Peter Lugar or Rothman's), and all of the sides are superb as well. Service is top-notch. Our only negative is that the tables on the main floor are crammed together and it is hard to get out. My husband could not sit near me because the woman at the next table had her chair pushed out so he couldn't move closer to me. Otherwise, I would give it a perfect score! Everything was wonderful! My daughters 30th birthday was a great night! Great food, great service and staff. A little pricey, especially some sides like sautéed spinach for about $15, but typical for a NYC steakhouse. 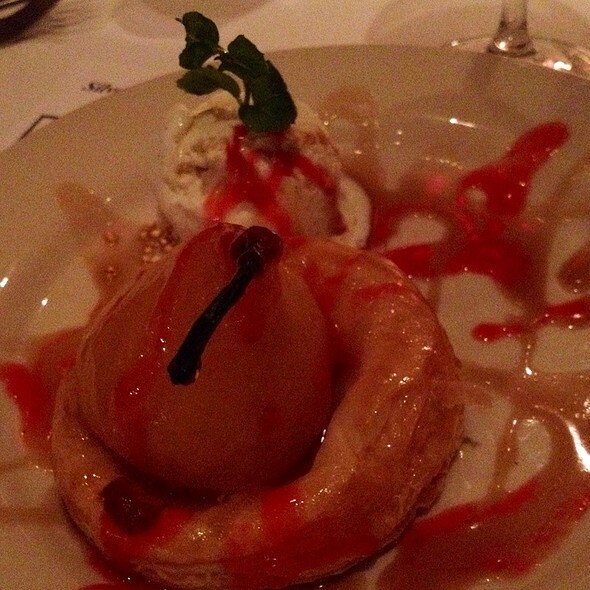 Del Frisco's never disappoints. Started with the lobster bisque, filet with brussel sprouts and shared the lobster Mac n cheese and topped it all of with their decident butter cake. Our server Jamie was wonderful and attended our every need. My wife ordered filet mignon pink all the way through. The steak came very, very rare. It was sent back to the kitchen and came back pink but dry. My salmon was perfect and the appetizer outstanding. Rather then serving a dry steak, I think for your prices you could have cooked another steak. My husband & I celebrated our Anniversary thee. Right after being seated, they gave us a card signed by the staff which was very kind. Kira, our server was great. The service & the food were excellent. We will definitely go back when we are in town again. Jay was our waitress and she was fabulous! 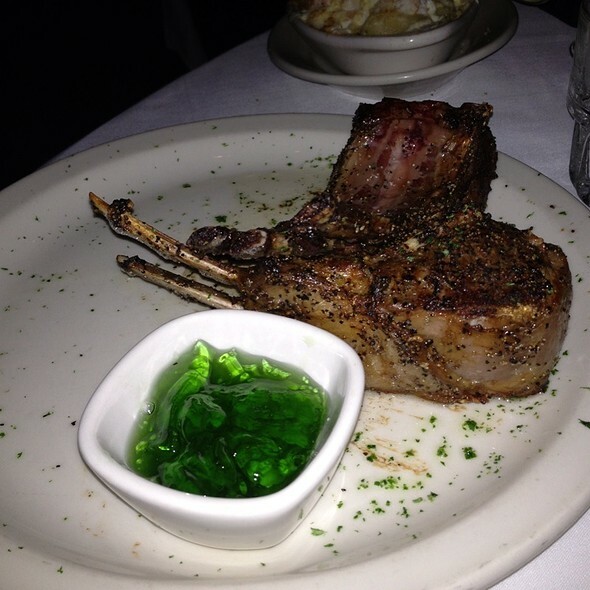 Del Frisco's is consistent in its offering of wonderful food and fantastic service. Awesome! Lemon cake to die for! Steaks you can cut with a butter knife. Had an amazing dinner for my birthday. The hostesses were all so sweet & welcoming and our waiter Chris was professional, knowledgeable, warm, and very accommodating. Our food was fantastic!! Every one of us loved our steaks and thought they were cooked to perfection. Can’t wait to go back!! We had an excellent experience, great company, great food and an amazing waiter "Chad"
The staff were exceptional very accommodating and made us feel more than welcome. Outstanding stone crab and king crab claws-best in NYC.Steaks as always perfect and the cocktails were brilliant.Service was exceptional from table staff to managers and I am going again as soon as I can.One of the great stalwarts of NYC.Can be noisy to have a table by the bar so try and avoid. Best. Anniversary. Spot. Ever. Our server, John, made it an incredibly special evening. We felt like the only two people in the restaurant with an entire booth to ourselves and a perfect view of Radio City Music Hall. We received a card signed by the entire staff, 5-star service and food, and a celebratory dessert plate with three delicious selections. Can’t imagine spending our next anniversary anywhere else. Our waiter was great! We were celebrating a birthday. The 45 day aged steak was like eating butter. It was so tender, yet extremely rich and filling. I’m from California, and I think $25.00 for a glass of house wine is too high. Ordered a Barbera from the wine lost and was presented with a Barberesco from same vineyard. Waiter said he searched by item number and that was what was there. Sommelier then stopped by to let us know that the varietal was similar but much richer. Said I prefer Barbera so he made a comparable suggestion that was less than stellar. Did not see him again to give feedback. Loud changing server time of day with limited tables available. Lunch should end at 3 if service standard cannot be upheld. Tables being changed etc. Disappointing overall. Asked for a quiet table. Got a quiet table. Every bit of service was excellent. My client's steak needed a bit more cooking - no problem. Really enjoyed our business meeting here. 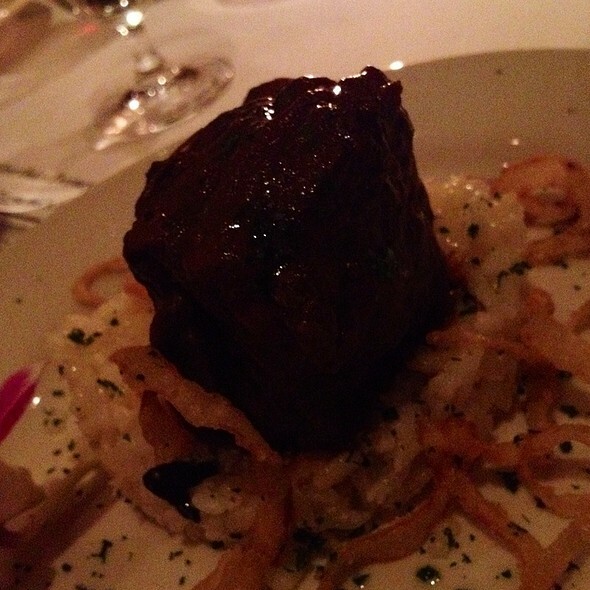 Del Frisco’s is our go-to Theatre District Steakhouse. Nothing in this review should be viewed as negative. Steaks are great! Sides are Tasty. Wine list is comprehensive. The bill is hefty. 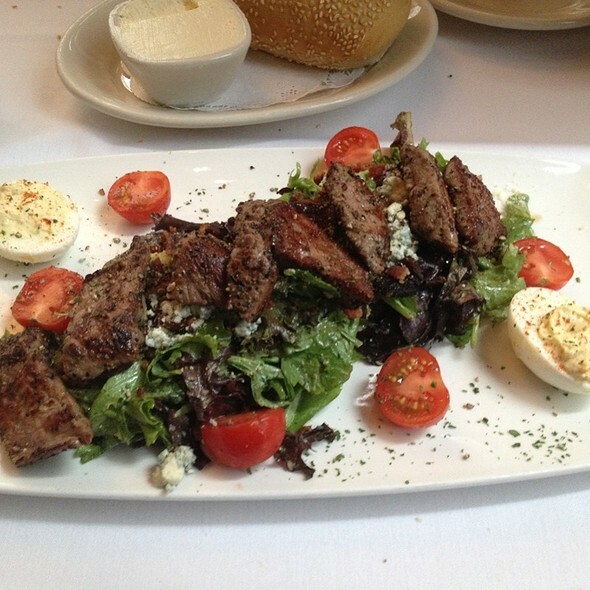 All as should be with a first quality steakhouse. 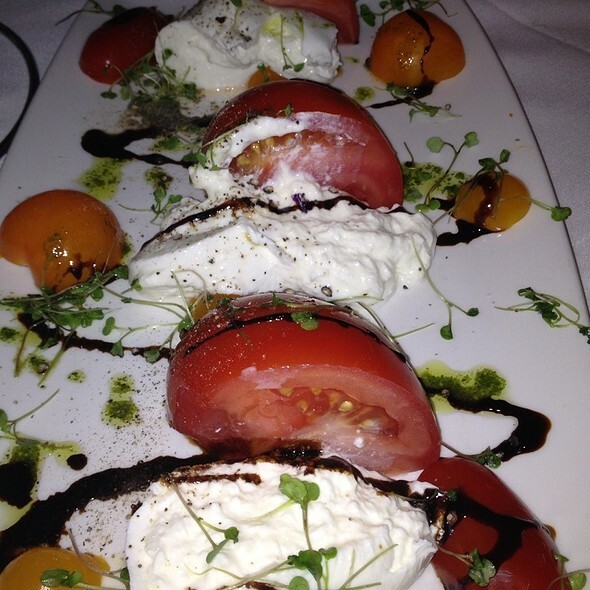 Service staff at Del Frisco’s has proven itself to be extremely customer focused and professional! Great meal! Great Experience! We came from Austria and had a great time. The meals were so big and the taste was marvellous. Steak was very juicy. Mac n cheese mixed with the creamed corn is fireeee. Amazing service with excellent food! 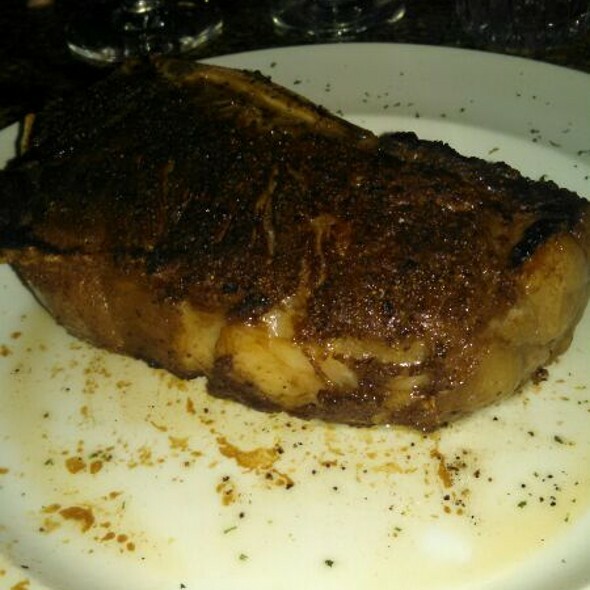 As usual, Del Frisco’s does not disappoint. The service is and the food are outstanding. Our waiter was very polite and attentive. It was our first visit to Del Frisco's. 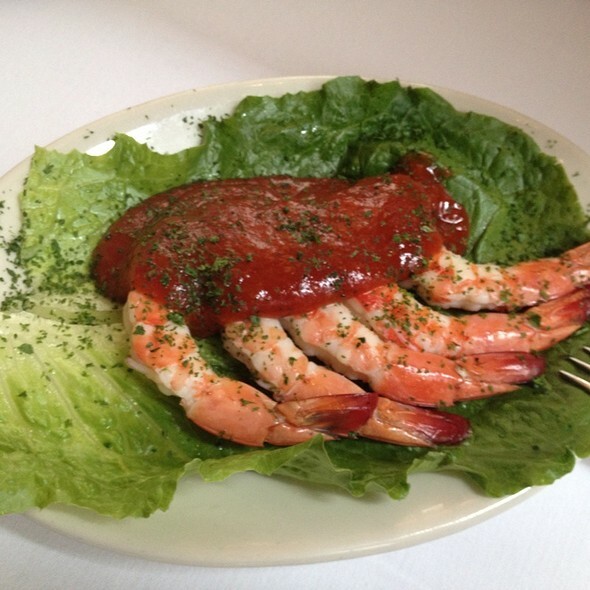 My husband and I enjoyed our dinner and will visit Del Frisco's again! Nice relaxing lunch before a show. A little $$ but it is mid-town NYC after all. Would certainly return. Gene was amazing! The ambiance and food was spectacular! Some of the best food I’ve ever had before !